The Prince Hall Cemetery on Gardner Street in Arlington is steeped in American history. The Masonic Lodge was founded by Prince Hall in Boston in 1776. In 1864, Grand Master William B. Kendall of the Prince Hall Grand Lodge deeded the Gardner Street parcel he had purchased in 1856 to his lodge’s Masonic Order. Black Americans needed a place to bury their loved ones. The property was to be put in trust to be used exclusively as a Masonic burial ground to be known as Prince Hall Cemetery. 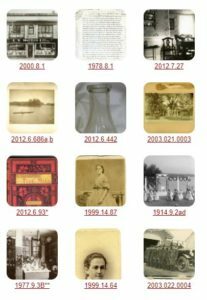 Records indicate it was in use until about 1897 when for unknown reasons, it fell into disuse and as time passed it was forgotten. In 1987, the Arlington Historical Society learned of the existence of the cemetery and immediately recognized its historical importance. 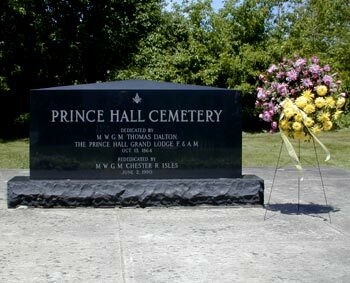 The Prince Hall Grand Lodge located in Dorchester and the Arlington Historical Society subsequently formed an organization named the Prince Hall Mystic Arlington Cemetery Association which is responsible for its upkeep. The cemetery was restored through donations from the Prince Hall Grand Lodge and by the generosity of the town of Arlington through the town’s sharing its Community Development Block Grant funds. In 1990 the cemetery was rededicated. In 1998, the cemetery was added to the National Register of Historic Places. Every year since the rededication, there has been a noontime ceremony on Memorial Day. Masons from the Prince Hall Grand Lodge march into the cemetery where there is held a brief ceremony which includes a benediction, presentation of flags, remarks about the history of the cemetery, an address by the president of the Arlington Historical Society, remarks by the Grand Matron, remarks by the Grand Master, taps, and a benediction. Following the ceremony, members of the lodge proceed to the Copps Hill Burying Ground in Boston where Prince Hall is buried. Memorial Day Addresses are given every year by the President of the Arlington Historical Society. You can find transcriptions of these speeches starting with 2004 in the links below.